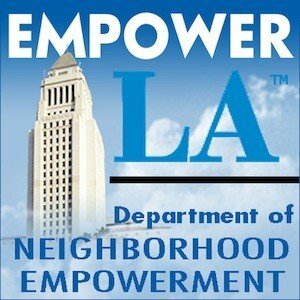 Era of LAPD Body Cameras to Start Monday | Arleta Neighborhood Council Era of LAPD Body Cameras to Start Monday | Arleta Neighborhood Council | Making Arleta, CA the Greatest Neighborhood in Los Angeles. One Day at a Time. Starting Monday, body cameras will be handed out to Los Angeles police officers at the Mission Station — the first of 860 cameras that will be distributed to officers in three divisions. Officers at the Mission Division will be the first to get training on the cameras, followed by officers at the Newton Division on Sept. 15 and the Central traffic and specialized divisions on Sept. 28, LAPD Chief Information Officer Maggie Goodrich told the Police Commission. Goodrich said the department spent the past few months installing the network and infrastructure for the body cameras. LAPD officials chose a Taser body camera that is designed to be worn on the chest. The cameras were donated to the department through the Los Angeles Police Foundation. Mayor Eric Garcetti has also called for a $10 million plan to outfit the entire police department with body cameras. The City Council earlier this year approved a budget that allocates half of the funding needed to purchase 7,000 additional cameras. Officials are applying for federal grants to pay for the other half of the camera purchase costs.